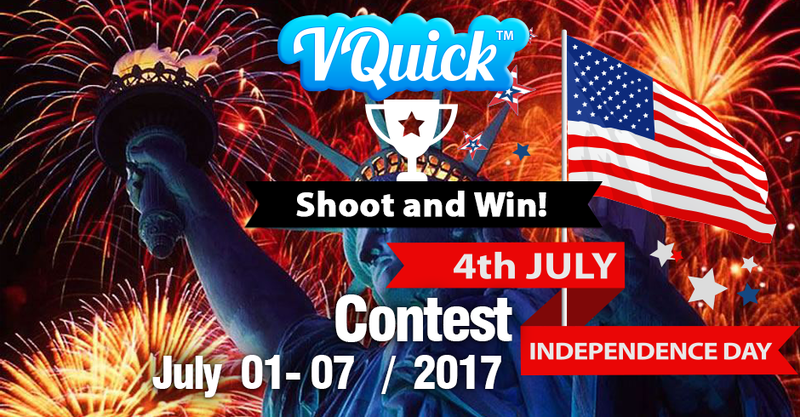 Join VQuick and become an independent movie director on Independence Day. Shoot a short video for the opportunity to win the $250 Grand prize. Create a short video with interesting content, publish it in your VQuick app and share, share, share! The more people that see your creation, the more your chances to get votes and receive one of the three prizes. The contest will be launched on 1st July and will last until the 7th. Winners will be announced on the 8th, and remember – you gotta be in it, to win it!